SMILIN’ THROUGH THE BLUES. 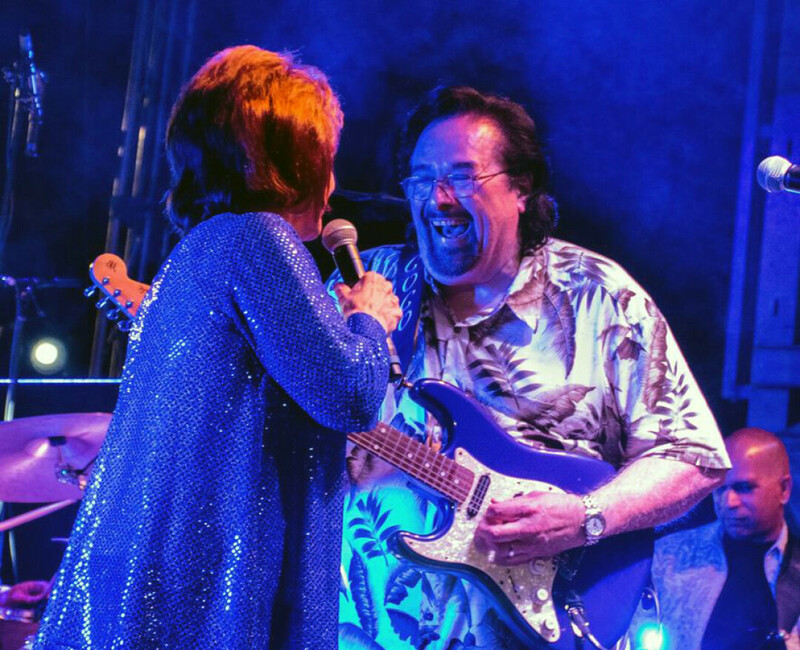 Shaun Murphy, left, and Coco Montoya at the 2018 Northwoods Blues Festival. Beautiful views, mouthwatering food, and nationally-acclaimed blues will hit the new Riverfront Park in Chippewa Falls this summer. The Northwoods Blues Festival will be back in Chippewa Falls, but this year at Riverfront Park instead of the Northern Wisconsin State Fairgrounds. The park itself will be open for its first summer since the completion of its second stage of construction, which included an amphitheater stage, lighting, and a fountain. Steve Rheaume, CEO of the festival, said the decision was a dual deal of sorts, as one of the city objectives of the park was to attract major events, and in the past the setting of the festival at the fairgrounds had brought about some issues. “Last year at our event – and this is no reflection on the fairgrounds – it was 94 degrees,” Rheaume said, “and due to the stage being located on top of asphalt, it got to be really unpleasant.” He believes these issues will be resolved at Riverfront Park, where the amphitheater is settled on a stretch of grass and the breeze from the river will likely result in cooler, more comfortable temperatures. Jackie Boos, tourism director at the Chippewa Falls Area Chamber of Commerce, said the park itself was built with the intention to host events similar to the festival. To add to the ambiance of the event, the park and surrounding area will be lit up all in blue, thanks to the lighting system Xcel Energy installed between the park, bridge, and hydroelectric plant. Also new at the festival this year will be the greater presence of food vendors. Rheaume said the meals included in the VIP tickets are known for being some of the best festival food in the Midwest. This year, the festival will host not only vendors typical of county fair events, but also several local food trucks. These include Wissota Chophouse, a staple Chippewa Falls steakhouse that Rheaume in particular says he is excited to try out. As for the music itself, the festival will once again commence with local artists Howard “Guitar” Luedtke and Blue Max, who have opened for the event every year thus far. The rest of the lineup includes both national acts and local flavor from around the Midwest. Advance tickets for the Northwoods Blues Festival, June 21-22, are available online at northwoodsbluesfest.com or at the festival gate for an additional cost.